ECAL 2015 provides a venue for a number of satellite workshops, which are run and administered independently from the main conference. If you are interested in participating in one of the workshops, please visit the relevant website below. For workshops that do not currently have a website, please contact the workshop organiser for more details. This workshop will now be run in conjunction with the SteerComplex workshop. Collective Adaptive Systems (CAS) is a broad term that describes large-scale systems that comprise of many units/nodes, each of which may have their own individual properties, objectives and actions. Decision-making in such a system is distributed and possibly highly dispersed, and interaction between the units may lead to the emergence of unexpected phenomena. CAS are open, in that nodes may enter or leave the collective at any time, and boundaries between CASs are fluid. The units can be highly heterogeneous (computers, robots, agents, devices, biological entities, etc. ), each operating at different temporal and spatial scales, and having different (potentially conflicting) objectives and goals. Understanding the mechanisms that underpin the design and operation of CAS systems poses significant challenges: the workshop solicits discussion papers that will stimulate the thinking and discussion required to progress research within collective adaptive systems. This workshop will now be run in conjunction with the FOCAS@ECAL2015 workshop. Many pressing societal challenges and promising new technologies require a better ability to understand and manage complex adaptive systems (CAS). Conventional approaches are often "brute force", attempting input and effort intensive control, and are often insufficient when dealing with the inherent non-linearity and complexity of CASs. CASs require management tools that interact with dynamic processes rather than inert artefacts. We suggest a "steering" approach; continuously interacting with systems, manipulating them or their environment via leverage points which exploit their structure and dynamics, monitoring their responses and responding to their adaptation. The tools, techniques and overarching methodological framework required for this approach are at a nascent stage and importantly, many of the CASs which we would most like to influence have significant social components and thus may require the integration of participatory or political processes with tools from complexity science. Accomplishing this effectively will rely on interdisciplinary efforts encompassing social and political, as well as natural, sciences, engineering and philosophy. In this broad-ranging and discursive workshop we aim to identify key ideas and implications of this new paradigm and explore ways in which the Artificial Life Community can uniquely contribute. The CoSMoS workshops series provides a forum for research examining all aspects of the modelling and simulation of complex systems. This year, complementing the theme of ECAL, we place a special focus on embodiment, interaction, and conversation within complex systems. Constructing models and simulations of complex systems is a challenging and interdisciplinary task, and we are seeking submissions that explore these aspects of complex systems modelling and simulation. Areas of interest include: complex systems simulation case-studies, modelling tools and techniques, simulation infrastructures, arguing validity of simulations, concurrency and distribution techniques, identification of reusable engineering techniques, working across scientific disciplines. Variation and Selection are the two core processes of Darwinian Evolution. Yet, both are directly regulated by many processes that are themselves products of evolution. This results in the ability of evolution to self-modify its operators, hence its dynamics. We call this process "Evolution of Evolution" or EvoEvo. The objective of this workshop is to gather people coming from evolutionary biology, computational biology and artificial life to study EvoEvo experimentally (either in vivo or in silico), to identify the main EvoEvo strategies at the genomic, cellular and population levels, and to better understand how these strategies interact. Ultimately we aim at identifying a new scientific community interested in studying EvoEvo processes in various organisms and models. This workshop is funded by the FP7 EU-FET grant EvoEvo (ICT-610427). Understanding open-ended evolution remains a holy grail in artificial life. There has been progress on a variety of fronts concerning open-ended evolution in the past decade, and the time is ripe to take stock and document recent progress and to identify key remaining milestones for the immediate future. The workshop will create a common framework for discussing and evaluating research on open-ended evolution, with five components: (i) definitions of key concepts concerning open-ended evolution, (ii) actual models that produce (or fail to produce) interesting kinds of open-ended evolution, (iii) quantitative and empirically operational measures of key concepts concerning open-ended evolution, (iv) actual empirical results about models and natural systems that exhibit (or fail to exhibit) open-ended evolution, and (v) critical future research milestones on open-ended evolution. Synthetic Biology's vision to repurpose living cells as substrates for general computation has manifested itself in genetic circuit designs that attempt to implement Boolean logic gates, digital memory, oscillators, and other circuits from electrical engineering. Yet, the various achievements in the realm of Synthetic Biology remain isolated and generally lack the modularity and scalability of their electronic counterparts. This workshop revisits cornerstone achievements in Synthetic Biology research that address general computability in biological substrates, in order to demarcate key in-vivo and in-silico challenges of this novel research area. Topics will deal with how paradigms borrowed from digital, electronic devices are best implemented in large-scale biological substrates, and whether unconventional computing paradigms, such as those developed in the research field of Artificial Life, might offer more promising routes toward full-fledged biological computation. Run in conjunction with a tutorial and a special session of the main conference. It is a feature of many complex systems, especially associated with living organisms and societies, that the dynamics seems to take place on many different levels, forming a hierarchy of potential levels of description. Examples range from molecular dynamics of proteins in a cell, which form organisations of self-sustaining reaction networks, to the swarming and flocking of social animals, such as birds, fish and insects. This workshop aims to investigate this phenomenon, from both theoretical and empirical approaches. We particularly emphasise the use of theoretical tools to derive algorithmic approaches to understanding complex systems. Suitable topics for presentations include: aggregation methods for non-linear and stochastic systems; analysis of hierarchies emerging in complex dynamics; applications to games on graphs; applications in the analysis and simulation of living systems; hierarchical organisation in molecular dynamics; hierarchical organisation in swarms and flocks. The format of the workshop will be a series of presentations, with time for discussion. We particularly encourage early career researchers, and PhD students to present overviews of their work, with an opportunity for them to seek advice and guidance from more senior researchers present. Since the 90ies the "embodied approach" focuses the attention of cognitive sciences on the role(s) played by the body in cognition, stimulating Artificial Intelligence (AI) to build and study "embodied" or "complete" agents -- robots. Until now AI limited its exploration to artificial agents endowed with mechanical bodies. Current technical developments in Synthetic Biology (SB) promise to significantly extend AI's inquiries on "embodied cognition", inaugurating the possibility of building not only mechanical, but also "biological robots" -- artificial agents endowed with biological bodies. SB-AI 2015 encourages the establishment of an interdisciplinary front line research interconnecting SB and AI in the exploration of embodied cognition. In the workshop "Information Theory in Artificial Life" we will discuss how Information Theory can be used to generate, motivate, understand and quantify the behaviour and other processes in artificial agents and life-like systems. Information Theory provides a language to express the required concepts and quantities in a general way, allowing to transfer them between different domains. For further details and information on how to submit and participate see our website. If you have any questions please send us an email at itialife@gmail.com. Run in affliation with a special session. The Workshop on Unconventional Computation in Europe is organized under the auspices of the TRUCE (Training and Research in Unconventional Computation in Europe) project.TRUCE is a three-year project, funded by the European Commission FP7: Future and Emerging Technologies (FET) programme. Its remit is to help coordinate, nurture and develop activities within the unconventional computation (UCOMP) community in Europe and beyond. TRUCE project partners/members are currently working on a collection of chapters, to be collected in a volume (tentatively) titled Computational Matter. There will be approximately 15-20 such chapters, and each will be co-authored by partners from at least one TRUCE-affiliated project (that is, the chapters will deal with general themes in UCOMP, and will emphasise interdisciplinarity). At this workshop, partners will present extended abstracts of their chapters, for comment and discussion. The workshop is open to all, and will provide an leading edge insight into the current state-of-the-art in unconventional computation. The aim of this half-day single-track workshop is to bring together researchers who are currently involved in the Evolution of Physical Systems, as well as those interested in the technique, in order to share ideas and innovations. As the frontiers of artificial life move from the computer to the petri dish, the Evolution of Physical Systems offers to provide inroads into domains which are otherwise impossible to simulate. We use the term Evolution of Physical Systems (EPS) to refer to evolutionary algorithms which occur entirely in real-world physical substrates rather than in simulation. The term encompasses both parallel Embodied Evolution, in which evolution is distributed across a population of robots, as well as Evolutionary Robotics where evaluation is serialized on a single robot. Notable examples of EPS occur across a wide variety of systems, ranging from Robotics to FPGAs to 3D printers. Although EPS comes at a cost (the speed of the real world, unlike CPUs, does not follow Moore's Law), by definition it avoids the "reality gap" imposed by simulation, and has produced novel and tangeable real-world results. Regardless of application or method, all implementations of EPS are bound by many of the same constraints and technical challenges. 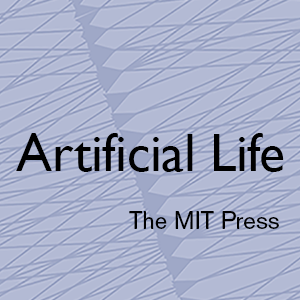 The scope of Artificial Life has significantly expanded in the last decade — from in silico software simulations (soft Alife) to robotic implementation (hard Alife) and experimental biological experiments (wet Alife). This workshop focuses on the latter perspective of Alife. In particular, we focus on "reconstructed natural biological systems", which refer to artificially constructed biological systems that consists of smaller biological components — be it microcosm (artificial ecosystem from microorganisms) or protocells (vesicules or droplets encapsulating biochemical reaction systems). As an alternative to reductionist approaches, constructive approaches to understanding biological systems have been proved to be quite fruitful in several research fields (e.g. Lenski's long-term experimental evolution). However, workshops or conferences that cover the topic are still rare. Here, this workshop aims to provide a unified and multi-disciplinary platform that brings together and facilitate exchanges between researchers from different fields of reconstructed biological systems. The workshop also features research on system modelling and analyses, which are crucial to understand biological complex networks.